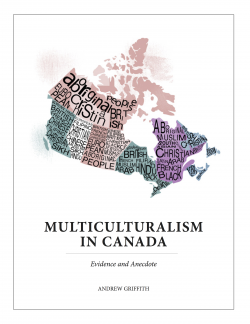 Diversity is Canada’s strength and a cornerstone of Canadian identity. We are a stronger and more successful country because of our diversity. Unfortunately, too many Canadians face barriers and challenges that prevent them from fully participating in society and the economy. The Government is taking action to fund community-led projects and events that address these challenges, such as the elimination of racism and discrimination, in order to build a stronger and more inclusive society. Today, the Honourable Mélanie Joly, Minister of Canadian Heritage and Minister responsible for Multiculturalism, announced three new funding streams that will strengthen diverse communities and support anti-racism initiatives across the country. The government is investing a total of $51.9 million over 3 years, which includes $21 million in new funding for community-led projects, events and capacity building initiatives. The Projects component will fund community-led activities that work toward the elimination of discrimination, racism and prejudice, with a priority for those supporting Indigenous Peoples and racialized women and girls. The Events component will fund local events that promote intercultural and interfaith understanding as well as celebrations of a community’s history and culture, such as heritage months recognized by Parliament. The Community Capacity Building component will fund projects that will help recipients promote diversity and inclusion by strengthening the online and social media presence of organizations, establishing their communication strategies as well as enabling them to recruit and train volunteers. Those interested in applying for funding under these new initiatives are encouraged to contact Canadian Heritage at pch.soutienauxcommunautes-communitysupport.pch@canada.ca. In Budget 2018, the Government of Canada announced $23 million in new funding over two years to tackle racism and discrimination, with a focus on Indigenous Peoples and racialized women and girls. This funding included $21 million to support funding resources for anti-racism and community support, and $2 million to engage Canadians on a new anti-racism approach. The government is investing a total of $51.9 million over 3 years, which includes the $21 million in new funding for community-led projects, events and capacity building initiatives. The Government of Canada remains committed to meaningful, evidence-based and community-involved whole-of-government initiatives in the pursuit of equality and growth for all Canadians. Canada is continuing to combat the inequity and exclusion that prevents some Canadians from participating fully and equitably in our society.